Description: An image of a face is rendered to the window using three circles and one line. Three symbols are rendered at the bottom right of the window. An adjective is displayed above the face which changes periodically to reflect the current mood of Dr. Giles. The appearance of the face does not change. The connection with Dr. Giles was discovered when he reported to Site 6 medical center with complaints of narcolepsy, motion sickness and fatigue. Further testing performed by Dr. Brown and Dr. Giles confirmed the connection. Surveillance indicates that Dr. Giles was the closest person to the SCP-603 computer system when SCP-603-70 was first run. Button 1: Dr. Giles will experience a strong desire to seek out food. 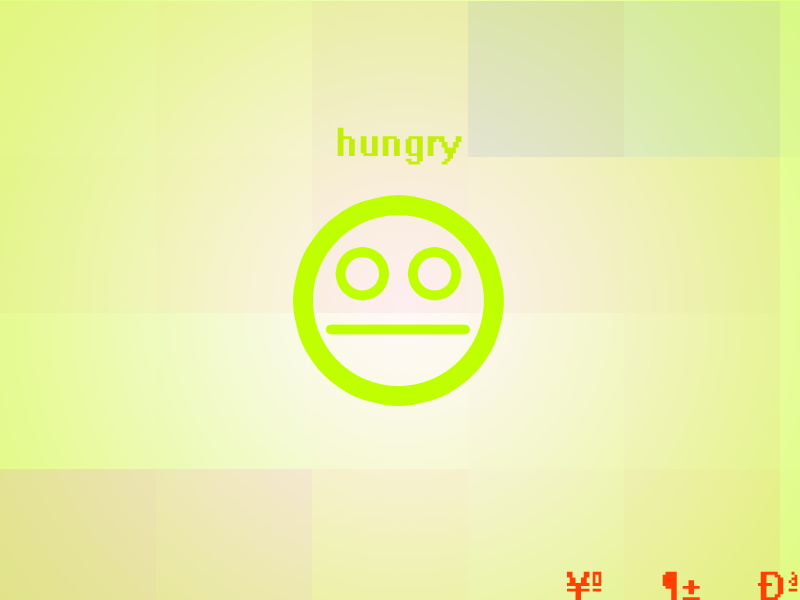 Button 2: Will eliminate feelings of hunger in Dr. Giles for up to one hour. Button 3: Dr. Giles will vomit immediately. Button 1: Dr. Giles will retire to the staff room for one hour. Button 2: Dr. Giles will fall asleep immediately. Button 1: Dr. Giles will begin to sing some of his favorite songs. Button 2: Dr. Giles will organize a company outing. Button 3: Dr. Giles will fall into an intense state of euphoria lasting for 10-20 minutes. SCP-603-70 is a recurring SCP-603 scene appearing in over 20 versions of SCP-603. Description: A small (13 character limit) text input field is displayed on screen, along with the words 'INPUT REQUESTED'. Typing any word into the field and pressing 'Enter' causes the field to close and changes the message to 'INPUT RECEIVED'. In addition, the typist displays agnosia of the typed word and whatever object, concept or being it represents. Dr. H███, the discoverer, who typed 'hello', displayed confusion when greeted by colleagues with 'hello' or 'hi' and had to be re-educated on the concept of greetings-words. Due to the confusion and associated mental distress SCP-603-101 may cause, testing is advised to be restricted to D-class subjects. There have been no recorded counts of adverse mental or physical effects resulting from the viewing of SCP-603-115. Description: A digital countdown was displayed in the center of the screen, starting at 256 and decreasing by 1 every tick. The rate of the ticks fluctuated between 0.5 and 2.0Hz. When the countdown hit -1, a site-wide power outage occurred which lasted for 5 seconds. 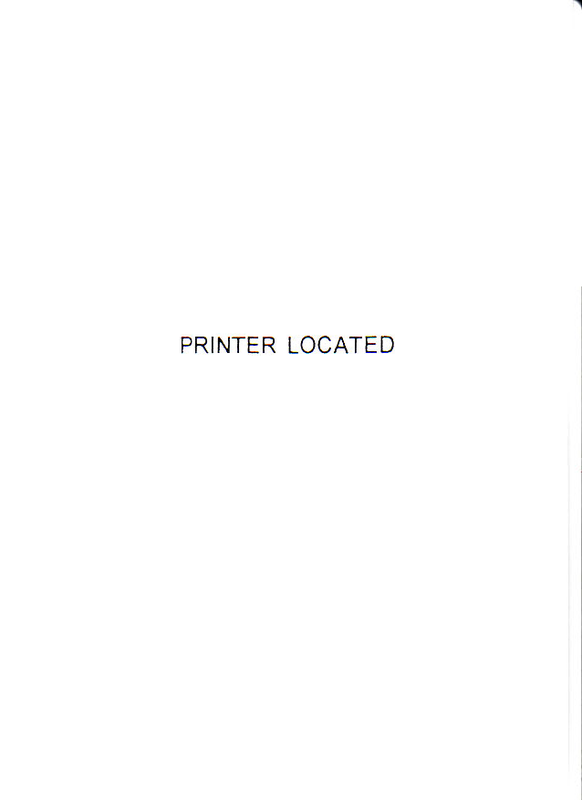 The screen was then cleared and the attached document was printed from printer SCPP-HPDJ3740. There were 203 printers connected to the SCP intranet when SCP-603-118 was run. Description: When executed the screen prints the words "Searching for image" repeatedly every 20 seconds until it finds a suitable image, searching on any connected or networked hard drives. Testing determined the image had to be of at least a resolution of 1000 pixels square, aspect ratio seems to also be taken into consideration if the ratio of the image is too different from the main display. It also will always choose the largest image on file that fits the criteria. When a suitable image is found, the program prints "Image found, processing" and remains at this screen for at least 30 seconds, but may take longer depending on the size of the image. After it is finished, it prints the image on the screen in grayscale. Upon closer inspection, on a larger display, the image is made up of very small characters which can be pulled from a variety of different fonts used worldwide. Immediately upon viewing the image a memetic effect is observed, the subject describes the feeling as "inspired", and is always very motivated to write a story about the image shown. If allowed, they will compose a short story about the image. If the image is shown to another person, the effect is repeated and the story written about the image will be the identical to the first. Re-running the program with the same image will produce the same story every time, edited images or photographs of the same area used previously will typically expand upon the first narrative as either a sequel or a prequel. If the subject is advised of the effect they will vehemently deny any outside assistance with the work and some may even resort to violence at the claim, even though in subjects with previous writing experience very rarely show any similarities in writing style to their previous works. The effect will remain for approximately 72 hours, after which they will not remember writing the tale when questioned about it or reading it. They will also not remember much about the days following until the effect wears off, most do not even remember coming to work, describing the lapse in time as a blur in their memory. Possible use as a short term amnestic is pending approval. Description: A Jacob window is rendered. The scene is identical to most Jacob iterations; however, a black 1-pixel thick diagonal line is rendered across the screen, and pressing any key other than return has no effect. If the operator presses the return key the program will enter a line of dialogue into the input field automatically and Jacob will respond to it. The dialogue is identical each time the program is run. Pressing return additional times after this dialogue finishes will print "null" indefinitely. Description: Runs in 320x240 resolution, 256 colors. Program produces various images, asking if each one represents a common object or living creature: typing "YES" or "NO" makes the scene proceed to the next image. Images do not repeat, unless the process is restarted entirely as per SCP-603's standard operation; the same images and questions are produced regardless of how questions are answered. This scene reappeared several times; in its third iteration, "verification" images started appearing, in which giving the wrong answer to these images shuts down the process.